As mentioned in the previous blog post, Pompom island marine environment has large areas where the benthic type is that of a mobile rubble slope. 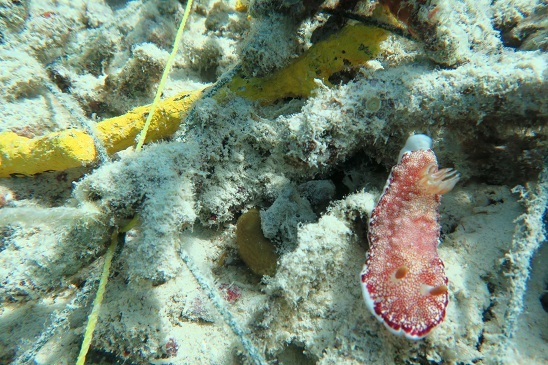 This degraded ecosystem is caused by dynamite fishing and generally has lower biodiversity and fish density than the coral environment that preceded it. 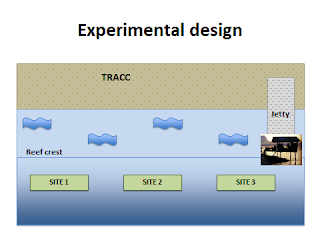 Here at TRACC we are working upon methodologies to consolidate the rubble with the hopes of returning it to the bio-diverse hotspot it once was. 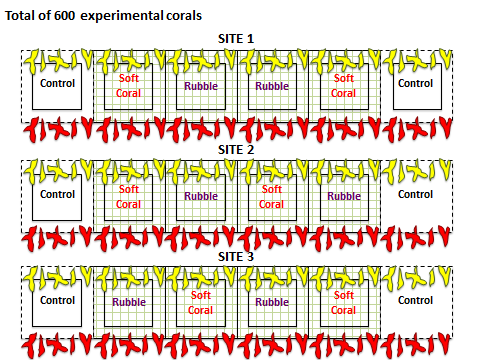 Mobile rubble slopes present a difficult ecosystem for recolonizing of hard corals as newly settled recruits often attach to a mobile piece of rubble and end up rolling down the slope. 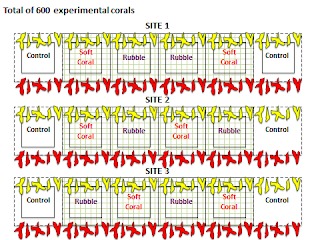 Currently at TRACC we are using soft coral replantation techniques to consolidate the rubble slope. Whitney Hoot and myself decided to investigate this and see what effect, if any, the soft coral was having upon the slope. 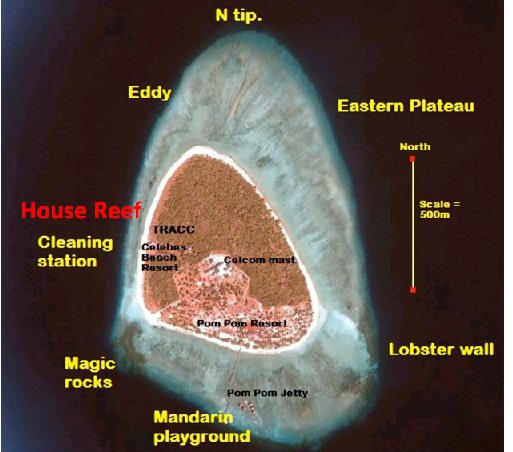 Firstly 3 different sites upon the north east side of the island (house reef) were chosen. 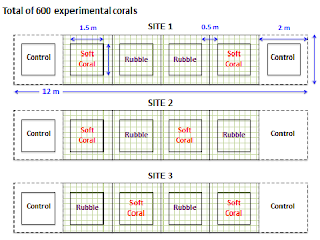 Sites were selected based on the following criteria; benthic cover type (rubble), depth (~5m), slope angle (between 34-45 degrees), distance below reef crest (1-2 meters) and crest characteristics (no coral heads etc.). 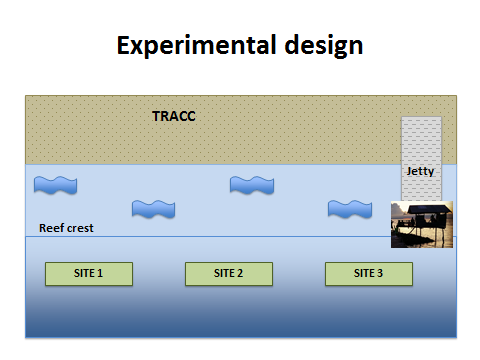 Once sites were selected, 3 nets were deployed measuring 2x8 meters. To each of these nets two treatments and a control was added (thank you to all the volunteers who participated in this). 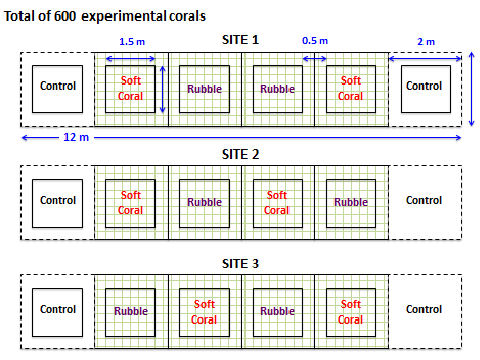 Treatments included cabling tying soft coral to the net, cable tying bare rubble to the next and a control on each side of the net. After nets had been put in place and quality control had been completed, 121 pieces of labeled and painted rubble fragments were randomly added to the top of the quadrats in each net. This was also repeated for the bottom of the nets using differently painted corals. Our plan now is to track the progress of the rubble movement over time to and see if there are any significant changes. 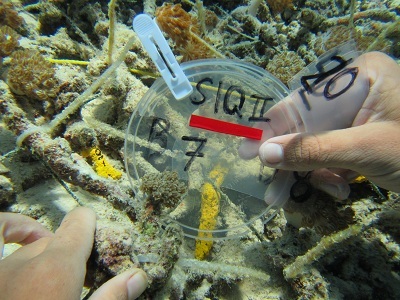 As well as rubble movement every individual coral colonies was photographed , ID’d and measured using imageJ software. Recording colony height, soft coral density and number of runners will allow us to monitor the growth and survival rates of all the soft corals in the experiment. 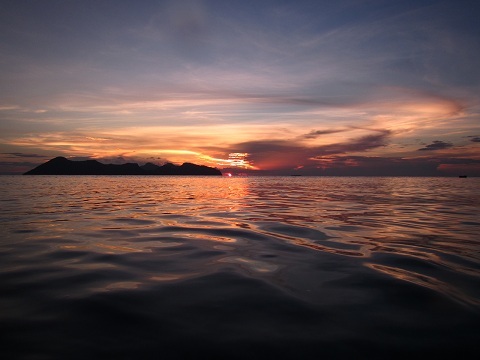 And lastly i will monitor the benthic community structure that follows due to the change in environment.